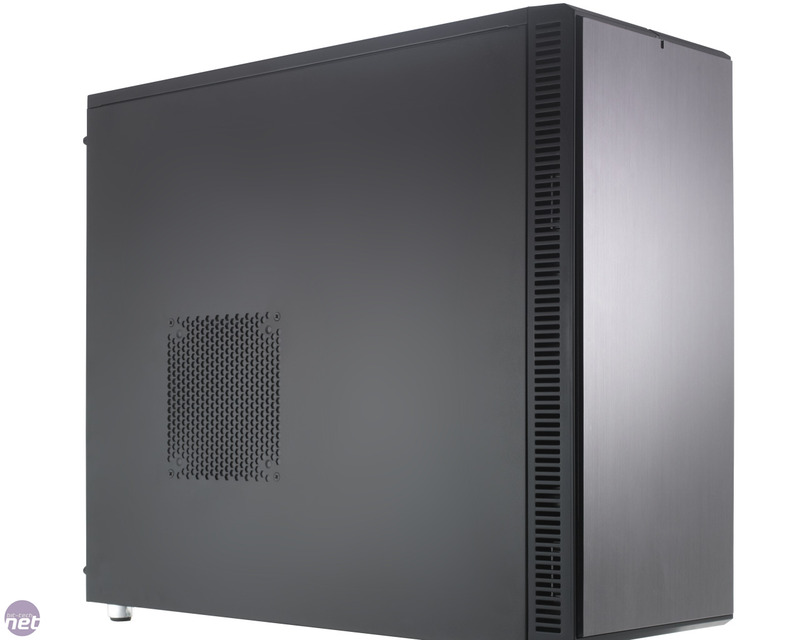 We first saw our first Fractal Design case, the Define R2, back in January of this year and we were frankly pretty impressed with its blend of sleek styling and quiet operation. It did have its flaws though, the most obvious of which was its poor cooling performance, which meant it fell just short of picking up an award. 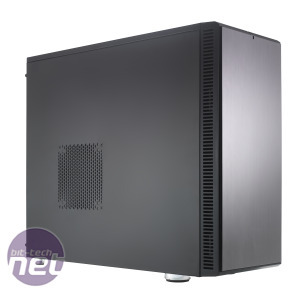 Top their credit though Fractal Design took our concerns on board and have now come back to us with the Define R3 - an updated and improved version of the R2. How we wish all hardware manufacturers took this same rational approach. Initial impressions of the R3 are good as Fractal has done very little to change the ascetics of the case. We still like the minimalist styling on show as the sleek straight lines and sharp edges give the case a sense of gravitas and significance lacking from the endless hoards of plastic wrapped LED riddled gaming cases that are available these days. The front panel connectors are still located on the front top edge of the case, the layout of which is identical to that of the R2. We’re a little disappointed about this though as we thought Fractal Design may have added a couple of USB 3 ports to the two USB 2 and single eSATA ports located here. At first glance it doesn’t look like too much has changed inside the case either as the fundamental layout is still the same as that in the R2. This means the R3 keeps the unusual but rational drive bay allocation with two external 5.25in bays and 8 internal 3.5in bays. Upon closer inspection however it’s clear that Fractal have added a number of subtle tweaks which they clearly hope will push the R3 beyond the R2 and into the realm of greatness. The most immediately noticeable of these design tweaks is the removal of the Bitumen sheets that lined the side panels of the R2 case. These did an admirable job of deadening the noise created within the case but they looked ugly and also started to peel off on our test case. In place of them are much neater looking sheets of dense, rubberlike sound deadening material which look immeasurably more professional and are thankfully attached much more firmly. 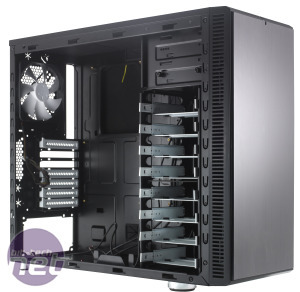 Fractal have also revised the fan grille covers which are used to blank out unused fan mounts reducing the amount of noise that escapes from the case. These were lined with the same Bitumen as the side panels in the R2 but are now lined with soft material covered foam instead. This is likely to impact slightly on their sound deadening efficacy as air filled foam wont deaden sound as well as the dense Bitumen, but it’s a compromise we’re willing to make as the foam looks and feels much more pleasant. 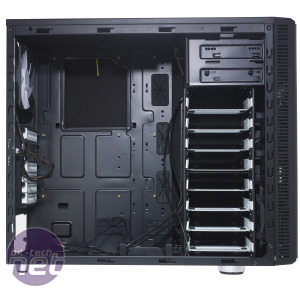 Small improvements have also been made to the motherboard tray which now has an expanded cutout behind the CPU socket for mounting cooler back plates and slightly larger cable routing holes. Unfortunately the cable routing holes are lined with the same rubber grommets as in the R2 which we found pretty flimsy as the rubber was too soft to grip the rim of the hole effectively. This meant whenever we tried to push a cable through them the grommet would simply pop out of the hole which was annoying. Maybe Fractal could ask Corsair what type of rubber they used for their grommets as we has no such problems with the grommets in the 600T. The final and possibly most subtle change to the R3 is that the bundled fans run at 1350rpm as opposed to the 900rpm of those in the R2. This is a key change as the poor cooling in the R2 was a major black mark against it. The two fans themselves are positioned identically to those in the R2 with one in the lower front intake and the other working as an exhaust in the rear of the case. 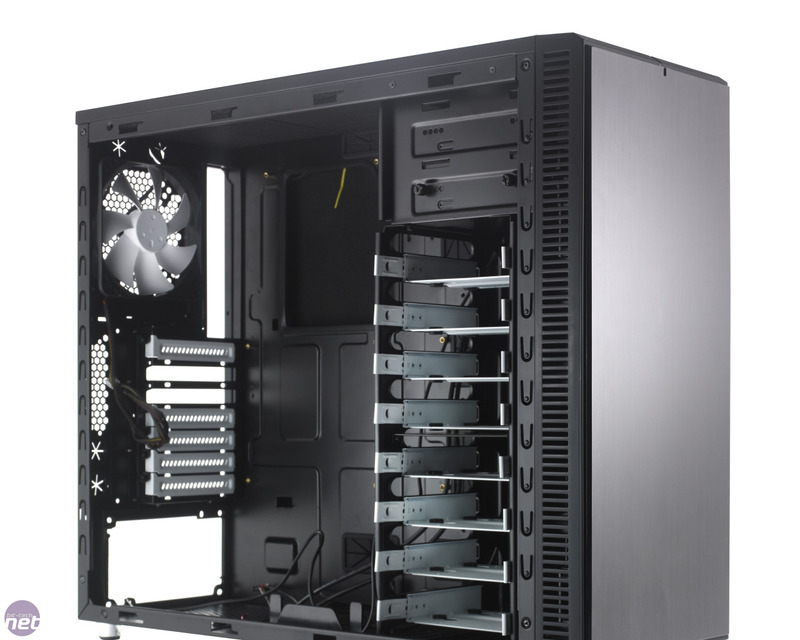 There is also plenty of room to expand the cooling potential of the case with two roof mounts and a side panel mount that can take either 140mm or 120mm fans and additional 120mm mounts in both the floor and front face of the case. 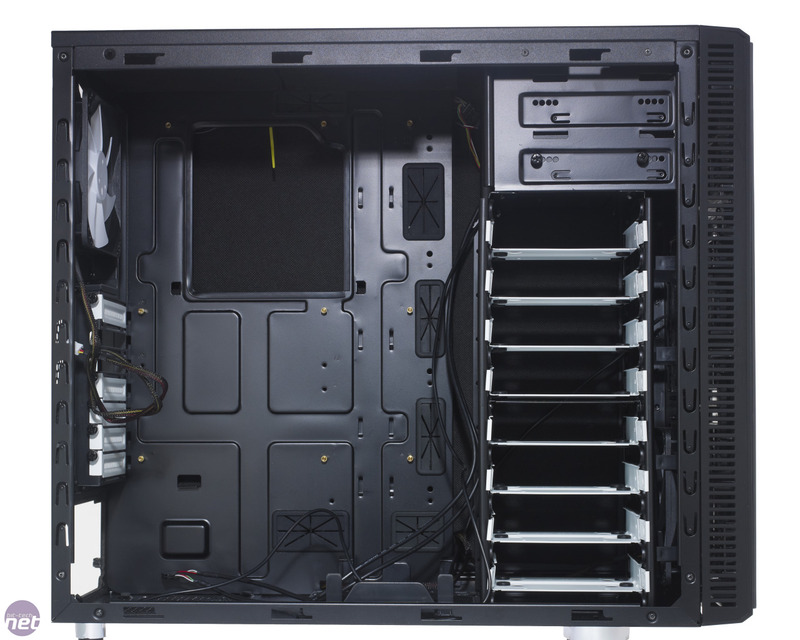 We’d be surprised if you could add fans to all these mounts and still keep the case inaudible though. Drive Bays 2 x external 5.25in drive bays, 8 x internal 3.5in drive bays. Nanoxia is back with its second chassis, a cheaper addition to the Deep Silence range.